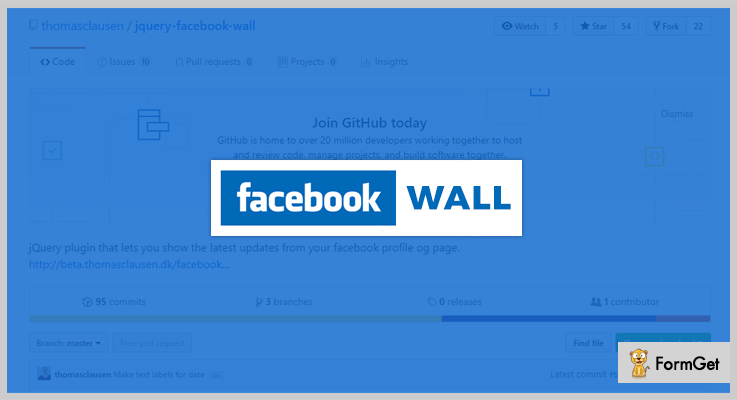 Integrate jQuery Facebook Plugins to flourish FB updates on your website! To question the power of Facebook in an online business is to question the importance of sunlight on earth. It provides a platform to more than a billion people on the earth. Now it’s no longer a want, but a need for any business marketing for procuring large number of customers. If your website isn’t integrated with Facebook and other social media sites then you are really missing the big piece of the online business puzzle. 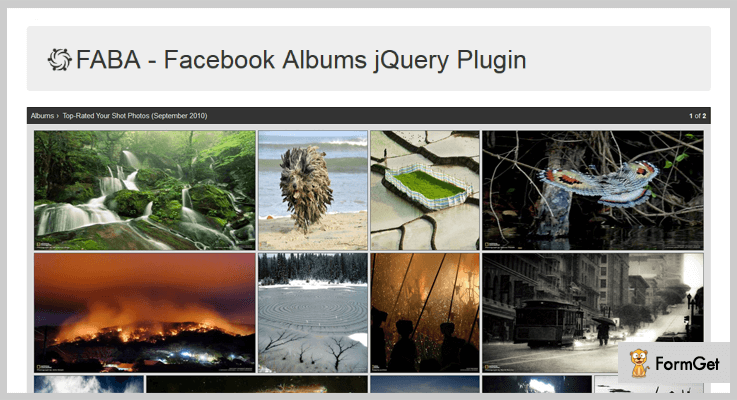 Here comes the need of jQuery Facebook plugins. These plugins smoothly integrate with any kind of website and can display the Facebook wall page, comment box and like box to your website. Some of these plugins are also compatible with other social media platforms like Twitter. Thus you can flourish social media feeds of multiple platforms on your website, making it more engaging and persuading. If you’re still confused, then to help you grasp the immense power of Facebook in the commerce world, here are enlisted 4 Best jQuery Facebook Plugins. Everyone loves Facebook ‘like box’, ‘comment box’ and fan page wall. This jQuery plugin can seamlessly integrate these into your existing website. 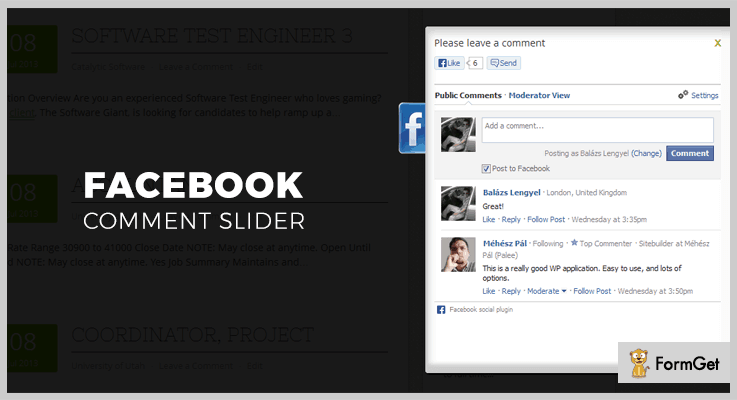 The plugin provides a fancy slider which offers an opportunity for the users to leave comments about your website. The slider position is always fixed. Like box offered by this plugin provides animated and attention-grabber slider with the liked people faces. Thus it is the best tool to hook your audience on your website. The plugin is tested on all major browsers Mozilla Firefox, Google Chrome, Safari, Opera and Internet Explorer. Sliders provided by this plugin always fit to the user’s device and on any screen including mobiles and tablets. You can opt in the dark & light Facebook color scheme as per your website template. It also provides the flexibility to define the distance for each sliders from the top of your website in percentages. Also you will get the possibility to set the left or right position separately for the Like Box, Fan Page Wall and Comment Box of Facebook. Get the regular license of this plugin at $7. 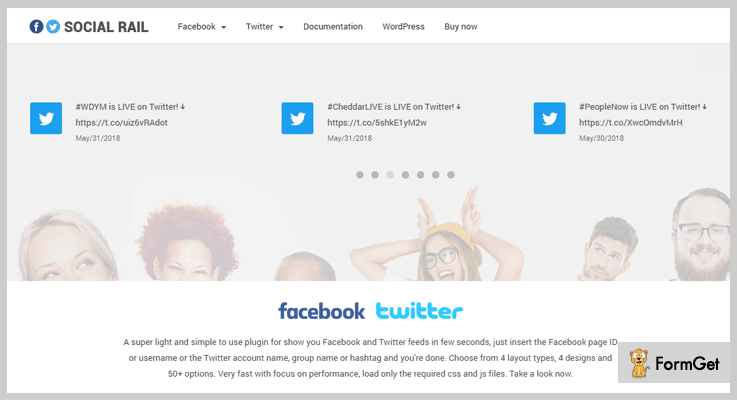 It is a super light JQuery plugin for showcasing Facebook and Twitter feeds on your website. You just have to insert the Facebook page ID or the Twitter account name at the plugin settings. The plugin performs very fast because it loads only the required CSS and JS files. You don’t need to setup any PHP or server side file. Show the stream within a slider, carousel, scroll box or as static feeds to present your Facebook & Twitter data at their best look. The plugin offers the option to choose black or white skin and select boxed or the classic designs layout. It is 100% responsive because you will get advanced JS and CSS responsive features for smartphones and tables. You will get regular updates and bugs fixed with this plugin. You can buy this plugin at $9 with 6 months support from Schiocco. It is a facebook albums and photos gallery jquery plugin. The plugin automatically loads all the albums and photos from the selected FB page. FABA offers the flexibility to do unlimited customization of animations, hover effects, text’s and behaviors. The plugin allows to add beautiful albums into your website. You can also organize photos into pages too. The plugin comes with 28 animations for every effect. It provides responsive design for all the devices. You can create slideshow of facebook albums with autoplay options. Grab this plugin at $15 with 6 months support from themeflection. Through this plugin you can display the latest updates from your facebook profile page. You can also share the updates of the facebook pages on your website. You can set limit on the amount and the display speed of the facebook feeds. The plugin allows to set the maximum word count (length) of the message. You can also specify the avatar size as small, normal and large. It is based on CSS styling allowing you to do unlimited changes in designs. It is a free plugin of GitHub. I hope these jQuery Facebook Plugins let you gain a lot or your online business website. Even if your business isn’t web-exclusive then these plugins will really prove a treasure trove in the online arena of online business marketing. Go through the live demo of each of the above listed jQuery Facebook Plugins and pick the best suitable plugin for your website! Used any of these jQuery FB plugins? Which is the best? Do let us know in the comments.